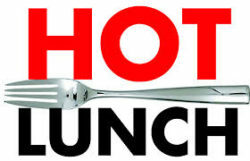 Registration is open for Hot Lunch – Register your student for the next three months or the remainder of the year (6 months). The Hot Lunch menu will include a slice of cheese pizza, seasonal fruit, a treat, and a drink. If you have not registered your student by Wednesday, December 12th, they will not have the opportunity to register again for Hot Lunch until the next payment period in March. *ATTENTION – This year, payment options will only be available in the following three-month increments. Single lunch payments will NOT be available this year. Also, no prorating, no make-up days, no refunds. TO REGISTER – Please click on the following button, no matter your payment method (cash, check, credit). If paying by cash or check (payable to Blythe Park PTA) please place payment in an envelope marked with your family name and “Hot Lunch” and bring to the school office. *NOTE – This program is only for children that have the option of staying at school for lunch.